Has Everything Everywhere already won the iPhone 5 war? Vodafone is angry at Ofcom for doing the unthinkable: trying to let UK consumers get 4G. "How dare a phone network actually deliver next generation broadband!" I imagine them saying. "Network operators are supposed to be in the threatening-Ofcom and delaying-4G business!" I'm being a little bit unfair, but only a little: one of the main reasons pretty much everybody in the world has 4G apart from us is that our 4G process has been delayed, delayed a bit more and then delayed a bit more after that by networks shouting at each other and at Ofcom. However, Vodafone's clearly angry and it's easy to see why: while the other networks won't have 4G licences until next year, assuming the spectrum auction isn't delayed further, Everything Everywhere gets the green light on 11 September (though 4G won't actually be with us from that date). And guess what's probably being announced on 12 September? Here's a clue: it rhymes with "skyphone" - and it'll probably be 4G. Ofcom reckons that letting EE out of the 4G gates early won't affect anybody else, but I'm not so sure: if the iPhone 5 has 4G LTE, which most people reckon it will, then there will only be one network where you can get the most from the device. I doubt Apple would sign an exclusive deal with Everything Everywhere - it likes selling iPhones too much to want to do that - but I don't see Apple taking LTE out of its Euro iPhones just to keep the UK operators happy either. As we've already seen with the iPad, Apple doesn't mind selling technology that the UK networks don't currently support. That could be bad news for Everything Everywhere's rivals, because while they'll be selling the same iPhones they won't be selling the same experience. 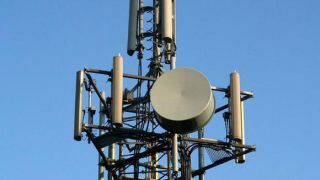 While Everything Everywhere won't have a national 4G network on day one, it'll still be able to offer 4G to lots of people long before its rivals can. No wonder it's delighted. I think that will make a difference. 4G isn't like visual voicemail, a nice enough feature that you can manage perfectly well without; it's a really big deal, especially for the sort of people who'll happily drop a few hundred quid on an upgrade while signing up for a stupidly expensive data plan. Who's going to spend all that on an iPhone 5 that doesn't work properly?